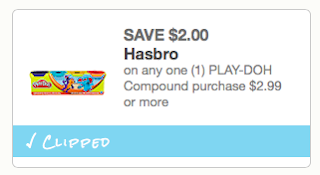 Target: 4pk Play-Doh for only $0.99 after coupon! Final Price: $0.99 or $0.25 a tub! !